Historic Renuka Ji fair of Sirmour district concludes today. Governor Urmila Singh participated in the concluding ceremony. While speaking at the concluding ceremony, Governor Urmila Singh said that the Renuka Ji fair is a manifestation of the reverence and devotion of Lord Parshuram towards his mother, Mata Renuka ji and added that it upholds rich values of Indian Society. 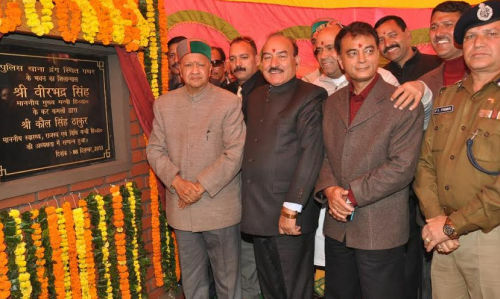 Governor said that Renuka ji has its own religious sanctity and people from within and outside the State visit the place to pay their obeisance. The place has high potential for tourist activity and attracts thousands of tourists every year, especially during the fair, she added. Governor said that fairs and festivals were symbols of the rich cultural heritage of the State and should be preserved at all cost. She said that glimpse of rich traditions could be seen in such festivals, which also go a long way in strengthening bonds of brotherhood and unity. Celebrating these festivals makes the young generation aware of our glorious culture, she added. Urmila Singh said that fairs and festivals play an important role in strengthening the local economy by encouraging the local produce. She said that possibilities should be explored for marketing the products prepared by Women Self Help Groups so that income of these groups could be increased substantially. 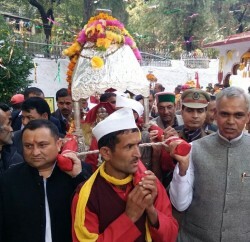 Earlier, Governor performed pooja in Lord Parshuram Ji and Mata Renuka ji temples and also participated in the ‘Dev Vidai’ procession. Governor also visited the Exhibitions put up by various government departments and organizations in the fair and evinced keen interest in exhibits. She also gave away prizes to the winners of Exhibitions. Padam Singh Chauhan, Deputy Commissioner and Chairperson, Renuka Development Board welcomed the Governor. A colourful cultural programme was also presented on the occasion. Office Bearers of Renuka Development Board, prominent people of the area and senior officers of the district were present on the occasion.